As you know we all love a nice and funky printed t-shirt, in fact it is a bit of a guilty pleasure! In a way it makes us feel younger, but whatever the reasons, wearing a printed tee is always fun. So today let's talk about the Monthly Tee Club, a subscription service based in the UK aimed at t-shirts fans. Monthly Tee Club: What is all about? 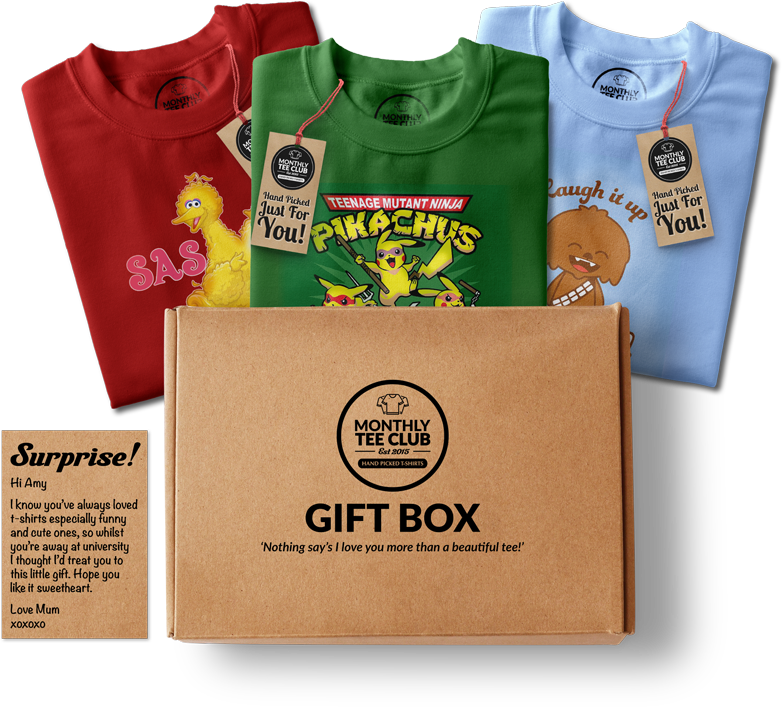 The Monthly Tee Club is a subscription service that sends you a brand new and funky t-shirt every month. The parcel is slim, discreet and fits through most letter boxes, so if you're not home you don't have to worry. 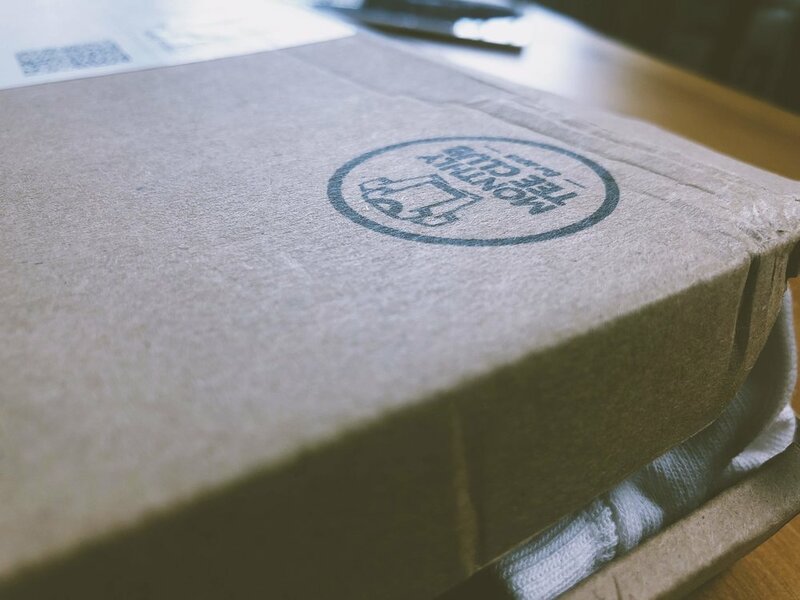 If you can't wait and want to show your brand new t-shirt to your friends at work, your parcel can be delivered there too! If you are not happy with the quality or service provided, you can stop at anytime and Monthly Tee Club will stop any future payments. When you subscribe you will be asked some information about the things you love, and this will help the team to hand-pick t-shirts based on your interests. This is a really great service, because you don't want to receive a t-shirt about Super Heroes if you hate them! Plan 1: £9.99: You get 1 T-shirt every month. Plan 2: £17.99: You get 2 T-shirts every month. Plan 3: £29.99: You get 4 T-shirts every month. And if for any reason you don't like the t-shirt you have received, you can return it. It is very simple and trouble free. What is the quality and how do they fit? With the Monthly Tee Club I can honestly say that the quality is really good. The T-Shirts are made of 100% cotton and feel amazing quality. The print on the front is very well made and finished, so you don't have to worry about any quality issues. Regarding the sizing, on their website you can find a size chart, however I am an M with Gap and Fat Face, so I ordered an M with the Monthly Tee Club, and it fits really well. Overall I am really satisfied with the product and I am pretty sure you will be happy too! I am really pleased with the quality of the service and product received by the Monthly Tee Club. It is clear that they know their stuff and the subscription service offers great value for money. At £9.99 every month you get a new quality and funky t-shirt: what's not to like? Highly recommended by ME. Disclaimer: I received one T-shirt for free for review purposes. However as always, this post reflects my honest opinion about the service and the product I received.